Michael Schessler | Farmer & Betts, Inc.
Michael Schessler is a Sales Consultant in the Chicago area with Farmer & Betts Pension Consultants. Mike works with financial advisors, CPAs, business consultants, and plan sponsors to create retirement plans that fit their cost and contribution needs. 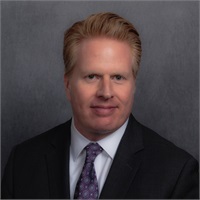 Michael has worked in the finance industry for 19 years and has gained high-level business consulting and leadership experience in the benefits and defined contribution retirement plan industry. He began his career after earning a degree in business administration and has since completed the requirements for the FINRA Series 6, Series 63, and Life and Variable Annuities certifications. While in high school and college, Mike worked for several small businesses in the automotive industry and ran an independent, franchised tool sales business. Michael was drawn to the 401(k) industry after realizing how many small businesses did not offer their employees any means to save for retirement. It’s his goal to help businesses implement the right plan for both owners and employees. Michael joined Farmer & Betts because the company strives to offer industry-leading pension administration services to expand the number of employers who maintain a quality retirement plan. Throughout his years in the industry, Mike has been involved in the design, implementation, and education responsibilities of hundreds of group retirement plans. Michael’s clients work with him because he draws on his experience and knowledge to connect with and understand their needs. Michael loves to build strong relationships with financial advisors and insurance producers to help them grow their practices. Michael’s goal for his clients is to act as their trusted 401(k) expert. He is called on regularly to help advisors secure, design, and implement retirement plans with both their existing and prospective clients. Michael lives in downtown Chicago and enjoys the culture and various activities the city has to offer. He is a loyal fan of the Chicago Cubs baseball team, and you can often find him traveling, cooking, playing guitar, or painting.